The Ultimate Gift Tower is just that... the ultimate gifting experience. 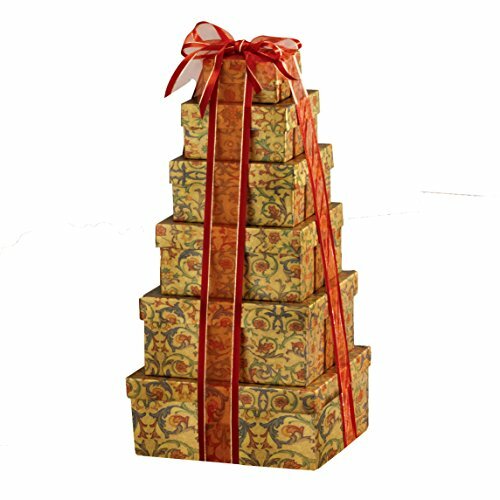 Whatever the reason, whatever the season, the Ultimate Gift Tower is the perfect gift! 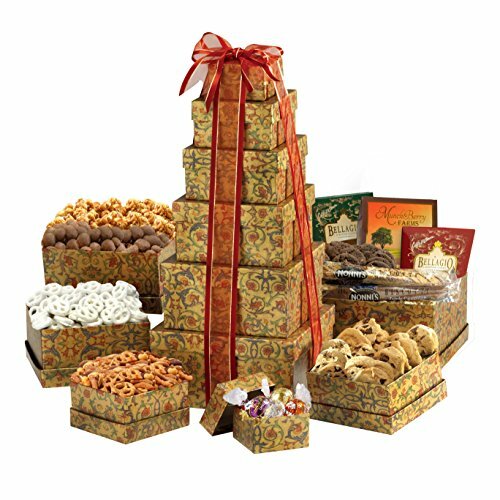 With an abundance of gourmet foods, this six-box tower is impressive enough to send to the office. 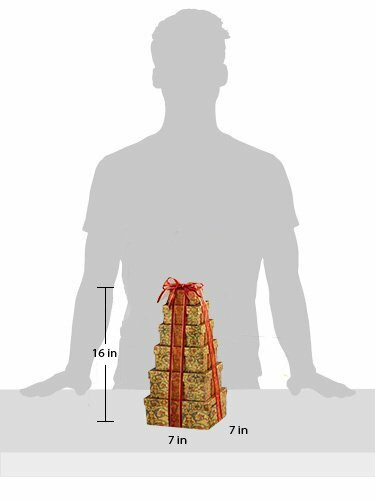 Send some holiday joy with the Ultimate Holiday Gift Tower. 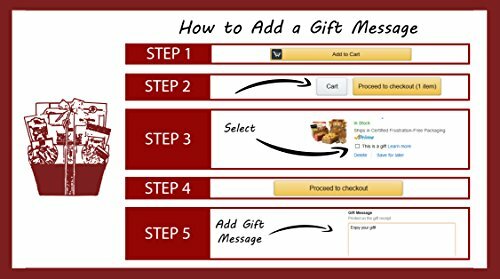 Great gift for birthday, thinking of you, or any occasion Perfect gift basket for family and friends, or as a corporate office gift. Gift tower includes: Lindt Truffles (4pc), Nonni's Chocolate Dipped Biscotti (2pc), Sweet & Savory Snack Mix (4oz), Yogurt Covered Pretzels (4oz), Blueberry Greek Yogurt Cookies (5oz), Bellagio Hot Cocoa (1oz), Double Dipped Chocolate Peanuts (4oz), Gourmet Caramel Popcorn (4oz), Chocolate Brownie Crisp Cookies (5oz) GIFT TOWER DIMENSIONS: 7" x 7" x 16" high Kosher Certified OK D. Giving a kosher gift ensures that all recipients can enjoy and partake in your gift.